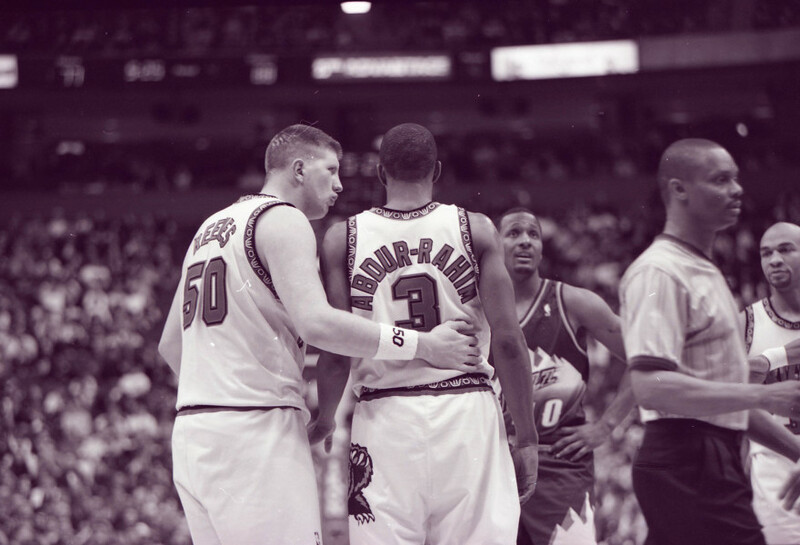 Shareef Abdur-Rahim is coming home. Arguably the best player the Vancouver Grizzlies ever had, Abdur-Rahim will be attending the Canucks game on Monday, and taking part in a ceremonial puck drop, as part of “Grizzlies Night.” The Canucks are celebrating the 20th anniversary of Rogers Arena this season with some special 20 in 20 nights, and this one might be my favourite. The Grizzlies lost a lot of games during their time in Vancouver, and Abdur-Rahim was often the lone bright light for the team. He was a consistent professional who worked hard and never complained, unlike seemingly everyone else some others who suited up for the Grizz. The Vancouver Grizzlies played their inaugural game in the NBA on November 3, 1995, a road win against the Portland Trailblazers. Two nights later, they won their first-ever home game, in overtime, against the Minnesota Timberwolves at Rogers Arena (it was called GM Place back then, of course). Abdur-Rahim joined the team a year later, in 1996, after being drafted 3rd overall in the NBA Draft (the same year Allen Iverson was drafted 1st overall). His impact was immediate, getting named to the NBA All-Rookie Team following his first season. He led the team in scoring for each of his five seasons in Vancouver and led them in rebounding for his final three years on the west coast. His best season came in 1998-99, when he finished 4th in the NBA in points per game. It should be a great night for fans to remember the good times and show some appreciation for a good player that was loyal to the city as a member of the Vancouver Grizzlies. Canucks are encouraging fans in attendance to wear their Grizzlies colours, and the Canucks Team Store inside Rogers Arena will be selling retro Grizzlies memorabilia, including jerseys, t-shirts and hats.